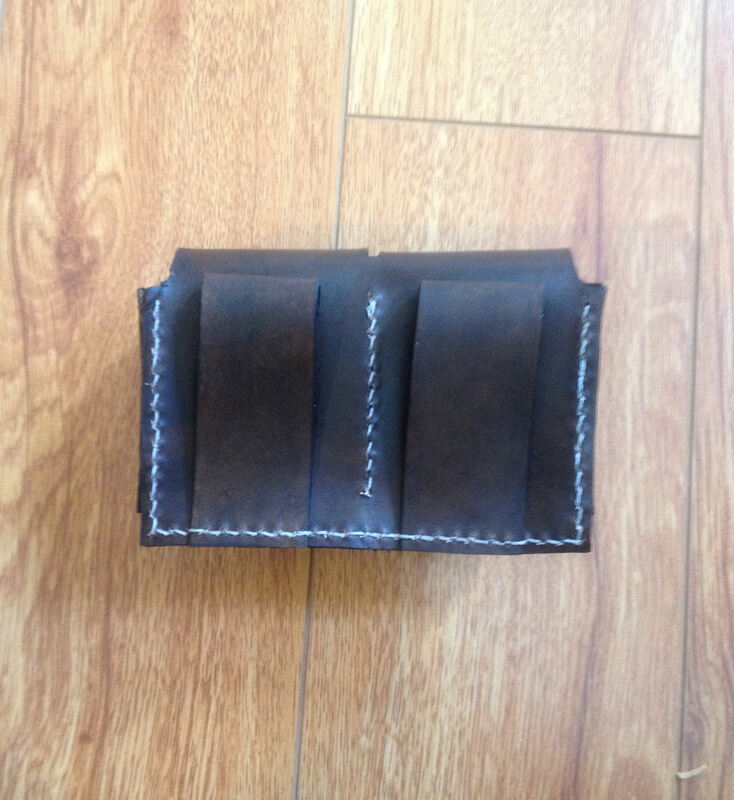 Custom leather double speed loader pouch. 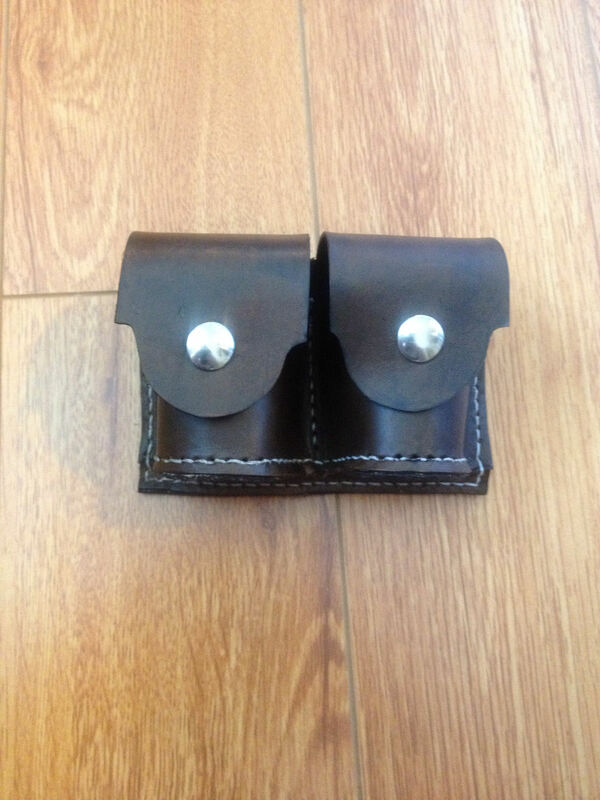 Handcrafted using sturdy 4-5 oz veg tan leather, hand dyed and hand stitched. 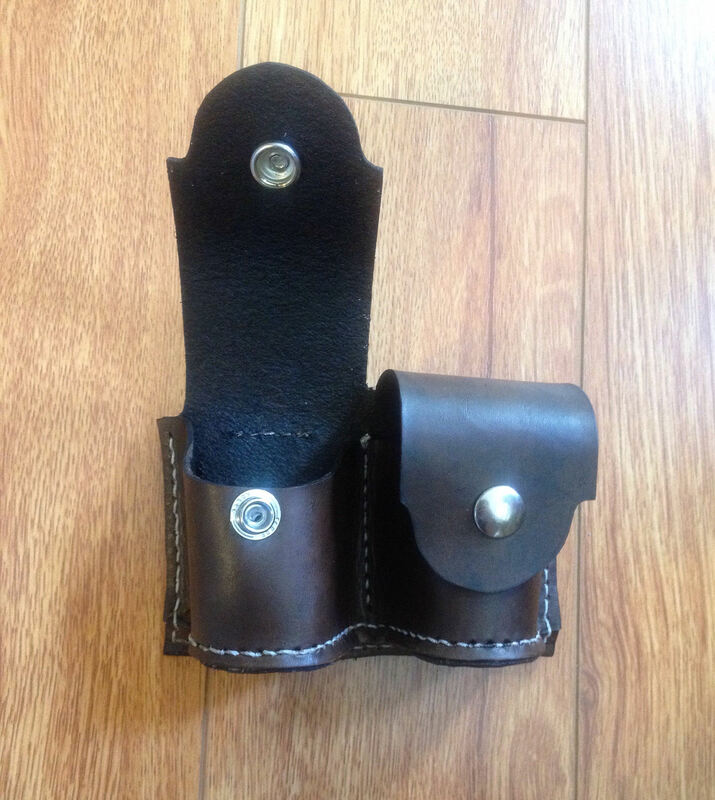 This item can be customized by your choice of color leather, color of stitching and even add tooling at no additional cost- just send info on what kind of tooling you would like (can be anything from edge pattern, basket weave, geometric patterns, initials or anything else to match a belt or holster you might already have)!